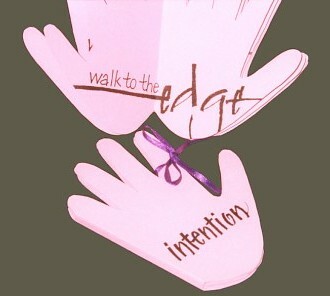 Intention was written using a Micron marker and a folded pen. The text was reduced on a copier and then printed with a Gocco on Brite Hue Ultra Melon cover stock. It is bound with a Clarkson binding The author of the quote is, unfortunately, unknown."